As you return from winter break and enter the Endeavor school building, you’ll be greeted with a spectacular painting of a covered wagon heading to the big woods. Then, as you head to your classroom, you’ll see the school Library windows are painted like windows that are looking into the home of Laura Ingalls and her barn. There are so many amazing antiques from the time period to explore. As you continue on, you’ll notice that the staff are dressed in pioneer-like clothing from the time period of the Ingalls family. The bonnets are especially fun! That afternoon, you’ll kick off the 4thannual “One Book One School” program with fiddler extraordinaire, Bill Peterson and his musical notes will carry you back to a simpler time, a time of new beginnings. Every day you have the privilege of listening to the teachers who read a chapter from the book, Little Big House in the Woods. As you head to the lunchroom, posters are displayed representing the chapter that was read previously that day, and a covered wagon appears, just like the one in the book. 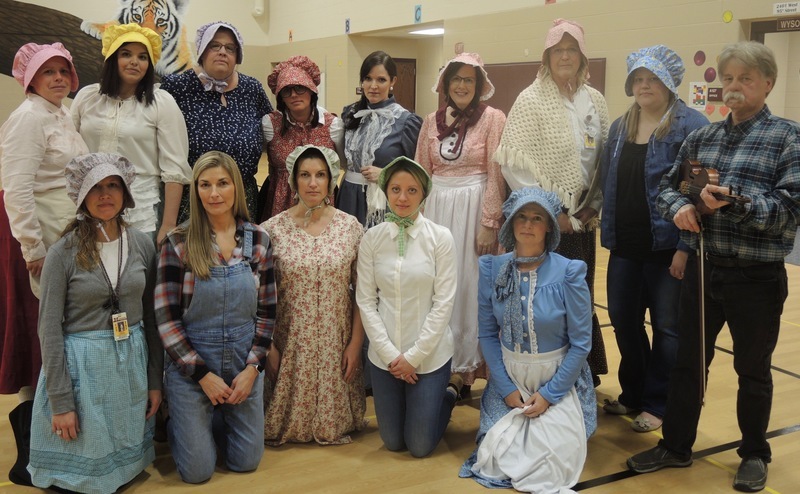 Special snacks are given each week and there are different dress up days to celebrate the things that are happening with the Ingalls family. “One Book One School” is a magical program that brings staff, students and families together. Collectively, everyone in the school is reading and discussing the events and chapters that are covered each day. During the first week, students are able to check out “prairie discovery kits” from the Old Courthouse Museum in Sioux Falls. 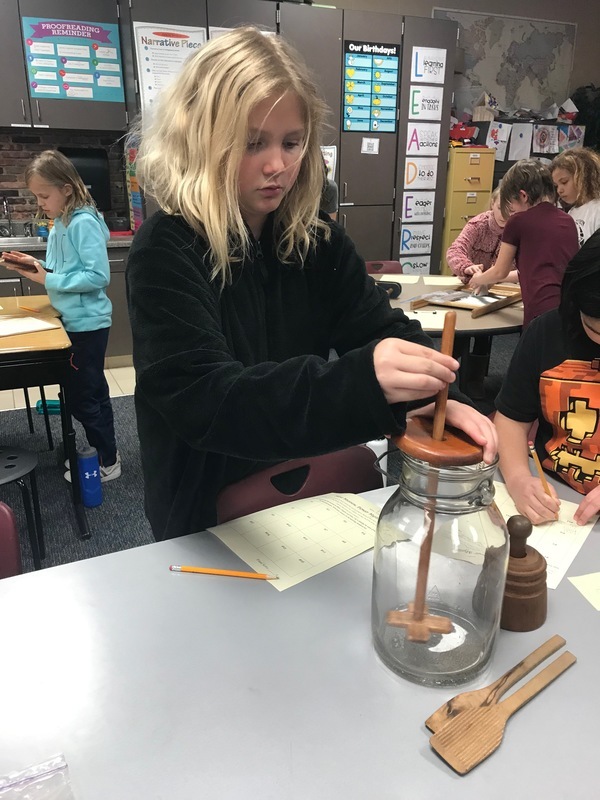 During art class with Mrs. Fesler, students make crafts from the Ingalls time period. Mr. Stockman plays time appropriate music, Mr. Wysong teaches square dancing, and Mrs. Bowen helps to bring themes to life as we learn through hands-on discovery and discussions each week. Mrs. Sevold shares information on the history of quilting and then has every student make a quilt square. The squares will be combined and made into beautiful quilts that will be hung on the walls for everyone to admire. As the month progresses, a life size cow will be brought in for students to milk, and old time photos will be taken. 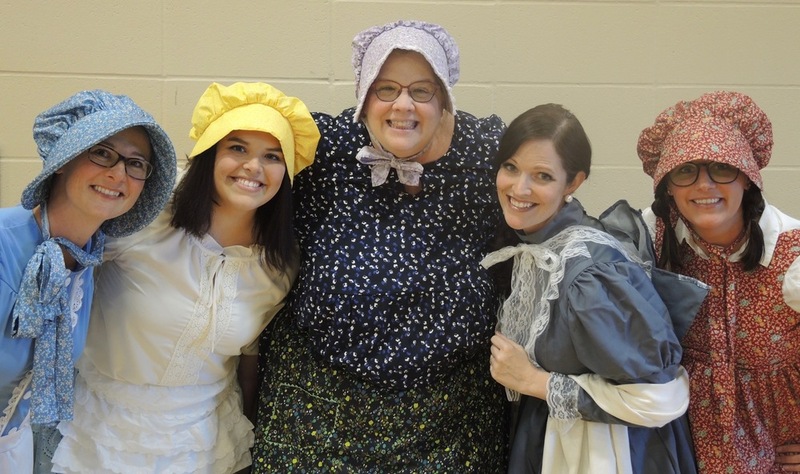 The grand finale will be “A Day in a One Room School House.” It will be just like the one the Ingalls girls attended when they were growing up. This is such an amazing experience for our Endeavor families. We are so blessed to be part of such a caring and engaged school and community. I believe Laura would have smiled at all of this.